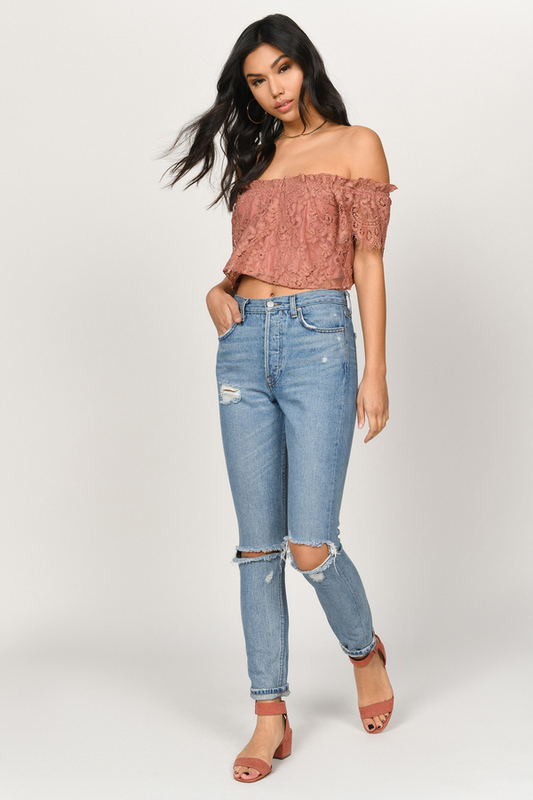 Check out Tobi's Riley Lace Off Shoulder Crop Top Crops tops for every season? You bet. The Riley Lace Off Shoulder Sienna Crop Top will add a cute feminine touch to your looks. This summer crop top features an off the shoulder cut with delicate sleeves and gorgeous lace with ruching at the neckline. This lace bardot top makes a great finishing touch to any basic bottom. Crops tops for every season? You bet. The Riley Lace Off Shoulder Red Crop Top will add a cute feminine touch to your looks. This summer crop top features an off the shoulder cut with delicate sleeves and gorgeous lace with ruching at the neckline. This lace bardot top makes a great finishing touch to any basic bottom. Crops tops for every season? You bet. 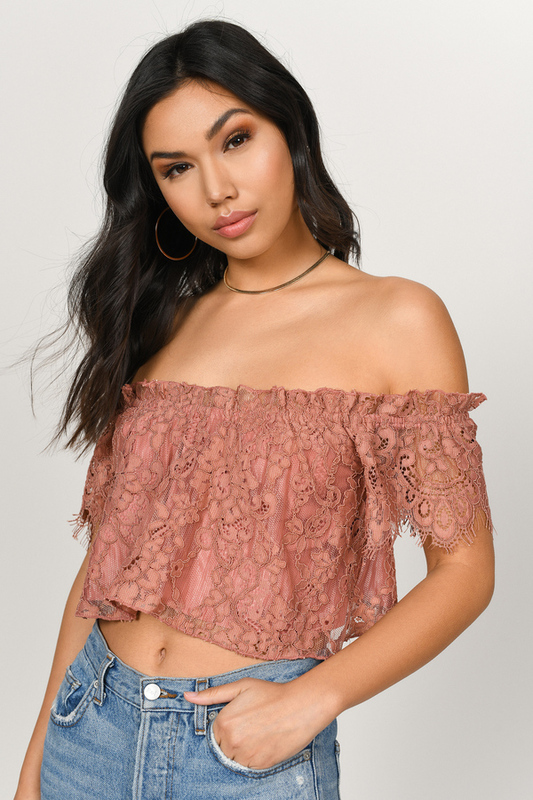 The Riley Lace Off Shoulder Sienna Crop Top will add a cute feminine touch to your looks. This summer crop top features an off the shoulder cut with delicate sleeves and gorgeous lace with ruching at the neckline. This lace bardot top makes a great finishing touch to any basic bottom. Crops tops for every season? You bet. 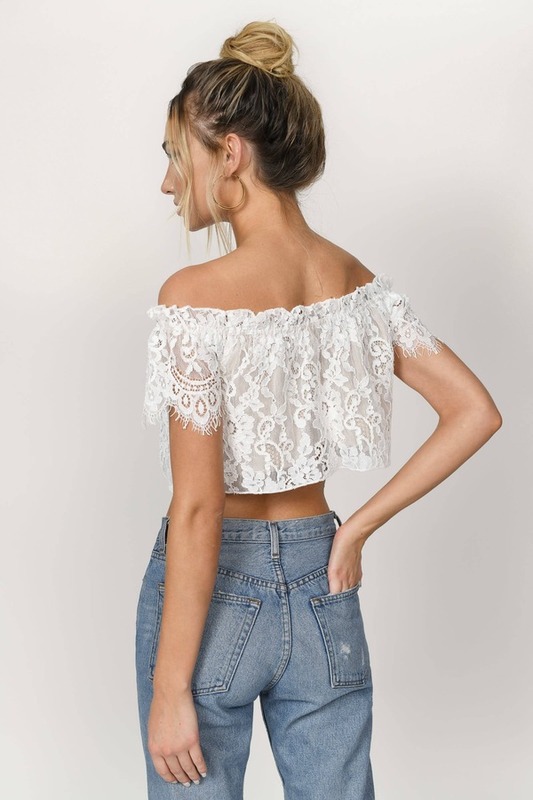 The Riley Lace Off Shoulder White Crop Top will add a cute feminine touch to your looks. This summer crop top features an off the shoulder cut with delicate sleeves and gorgeous lace with ruching at the neckline. This lace bardot top makes a great finishing touch to any basic bottom.